7 days Yogaintense with Thai-Yogamassage from 4th – 10th of May 2014. 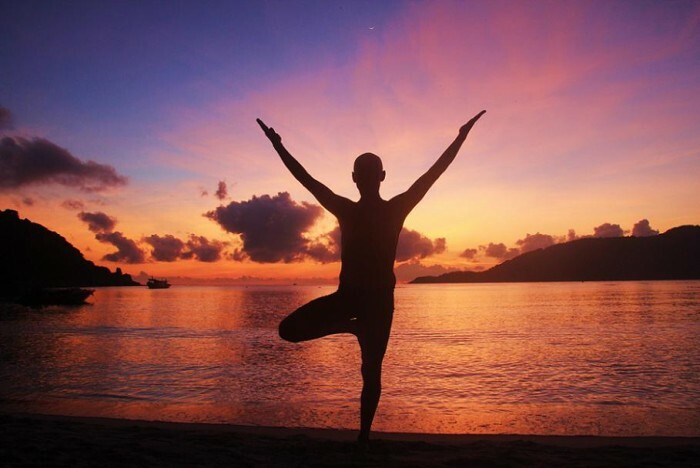 Hatha Yoga directly on the beach. We show you in partnerwork how to support asanas and flexibility by basics of Thai-Yogamassage. The course includes purification, sunrise- and sunsetyoga, asanas, pranayama, meditation, mantras, basics of Thai-Yogamassage, and – optional, if you like – lectures about indian philosophy. Besides the teaching you will have a lot of time to go snorkeling or even diving. There are plenty of possibilities to widen your own limits, to improve alignment, flexibility and energyflow in the meridians (energylines in chinese medicine). After one hour of sunriseyoga you learn 5-6 hours daily (during morning and afternoon) all classical techniques of Thai-Yogamassage for a treatment of 1,5 hour. Our focus is on the awareness for the person you are touching.